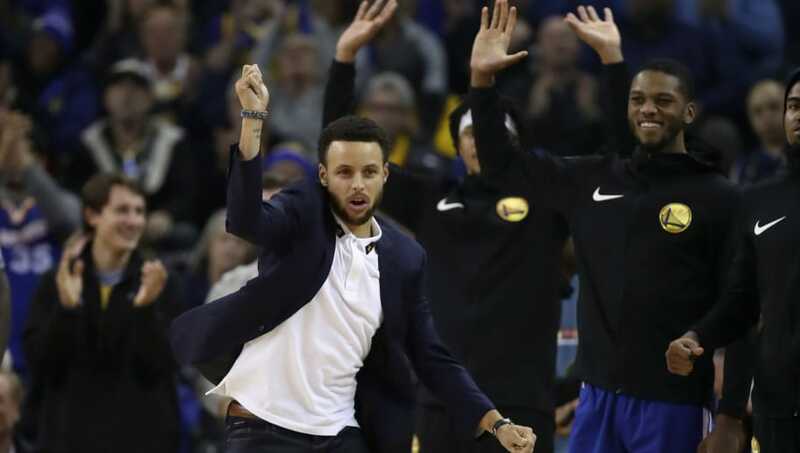 ​Stephen Curry started this season red-hot, once again playing at an MVP level with his unbelievable ability to pull up from anywhere on the court and make defenses look clueless. Unfortunately for the ​Golden State Warriors, they have been without the services of their star point guard of late, as ​Curry has been on the shelf for a week now and is set to miss some more time as the team heads out on the road for a trio of contests. ​​Curry will travel with the Warriors for their three-game foray into Texas, but will not suit up. He is dealing with a left groin strain and will not be able to step on the court. As it stands, he'll be re-evaluated in 10 days. If the current plan holds, Curry will also miss two home games after the Warriors return from Texas. The Warriors can afford to be patient with Curry. They have been in the past, and it hasn't stopped them from steamrolling opposition on the way to championships. They'd do well to give him all the time he could possibly need.